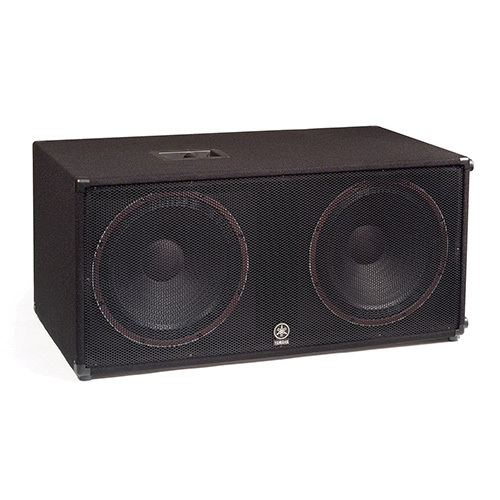 Feel The Bass with 1200 Watts from this 18″ subwoofer! 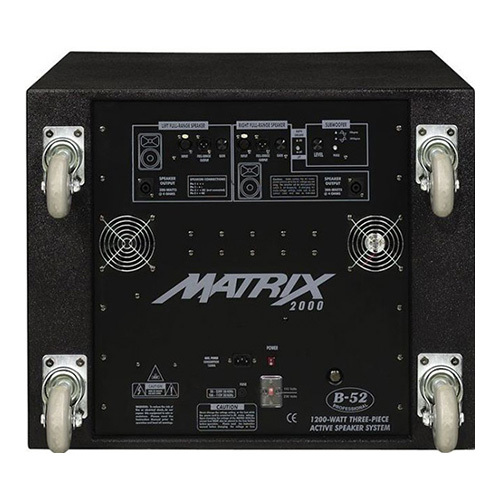 The MATRIX 2000 is designed for easy operation, as you do not need to worry about tweaking frequencies and finessing levels. All you have to do is set up the system’s components, connect the XLR right and left signal cables, speaker cables and power cord and you’re ready to go! 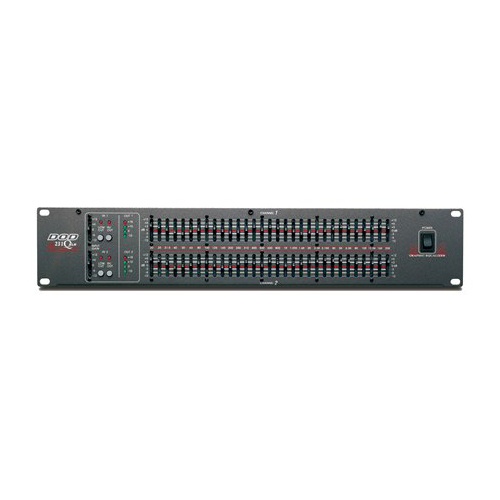 Equipped with a built-in three-channel amplifier, the three-channel amplifier houses all the electronics required to run the system. The B-52 subwoofer enclosure is divided into 2 separate compartments. The front chamber serves as the cabinet for the cast-frame, 4″ voice coil and 18″ subwoofer. The rear chamber houses all of the system’s electronic circuitry, which includes the amplification for all 3 components, power supply, compressor, and preamps. 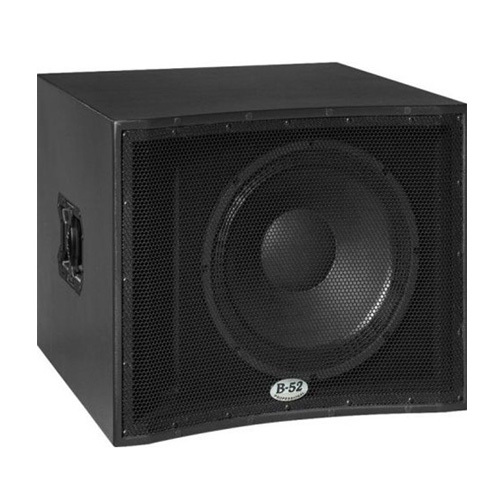 The B-52 subwoofer has a power handling capability of 600W and a nominal impedance of 8 ohms. equipped with a built-in three-channel amplifier. The three-channel amplifier houses all the electronics required to run the system. 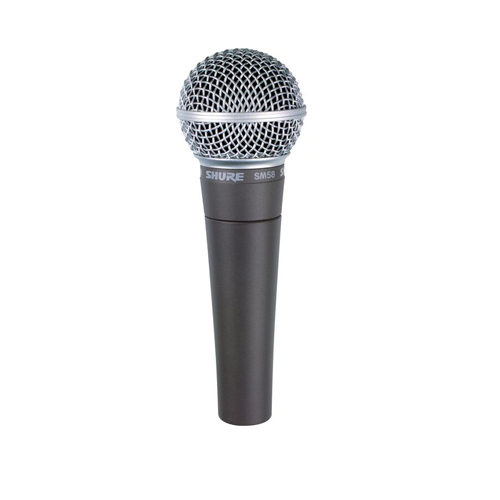 The MATRIX 2000 is designed for easy operation, as you do not need to worry about tweaking frequencies and finessing levels. All you have to do is set up your system’s components, connect the XLR right and left signal cables, speaker cables and power cord and you’re ready to go!